Knightscope, Inc., a developer of advanced physical security technologies focused on enhancing U.S. security operations, has announced that facial recognition software utilizing deep learning to detect, analyze and compare faces is now available, in beta format, on its K1 security robot platform to help enhance Workplace Violence Prevention (WVP) programs for companies across the United States. Knightscope will demonstrate the new system for the first time publicly at ISC West in Las Vegas on April 10th through the 12th in booth #2127 at the Sands Expo Convention Center. ISC West is the largest converged security industry trade show in the US, and Knightscope will be featured in its Unmanned Security Pavilion. Request an appointment with Knightscope at ISC West by clicking here, and register to attend ISC West here. 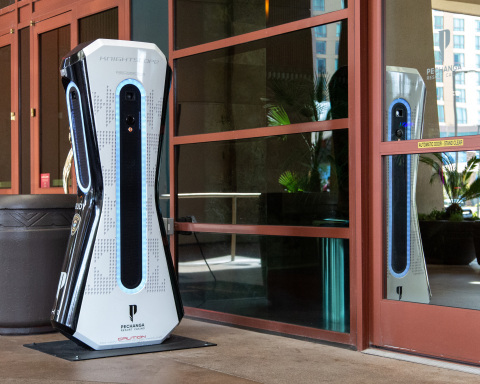 For more information on Knightscope or to request a demo to see how security robots will help enhance your guarding needs, go to www.knightscope.com.